As a child, I got the wonderful opportunity to visit Scarborough Faire. I truthfully don't remember much about it except for getting to ride a dragon that was powered by a man and not a machine, and either my Grandmother or Aunt got their palm read. That's all I remember, but I saw pictures in a now lost photo album of the experience. 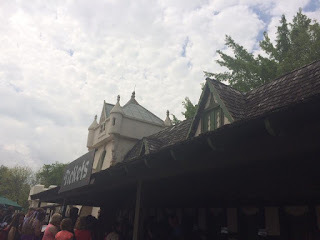 For years I talked about going back and then I got the opportunity to go for a review! 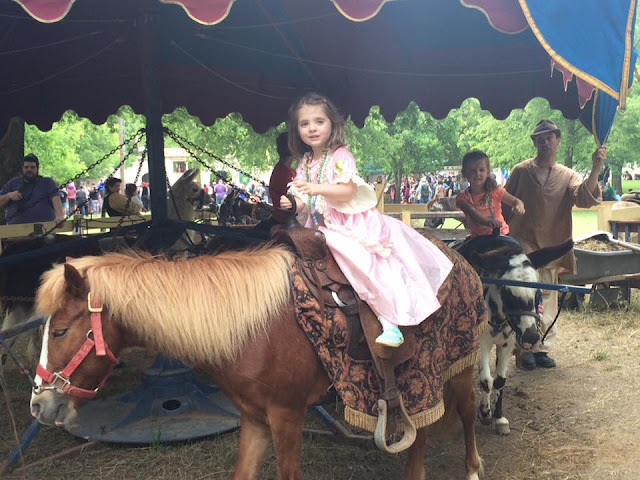 I got so excited, because my four year old had only recently been to Medieval Times in Dallas and she loved the whole experience. So I thought this would be just as great! 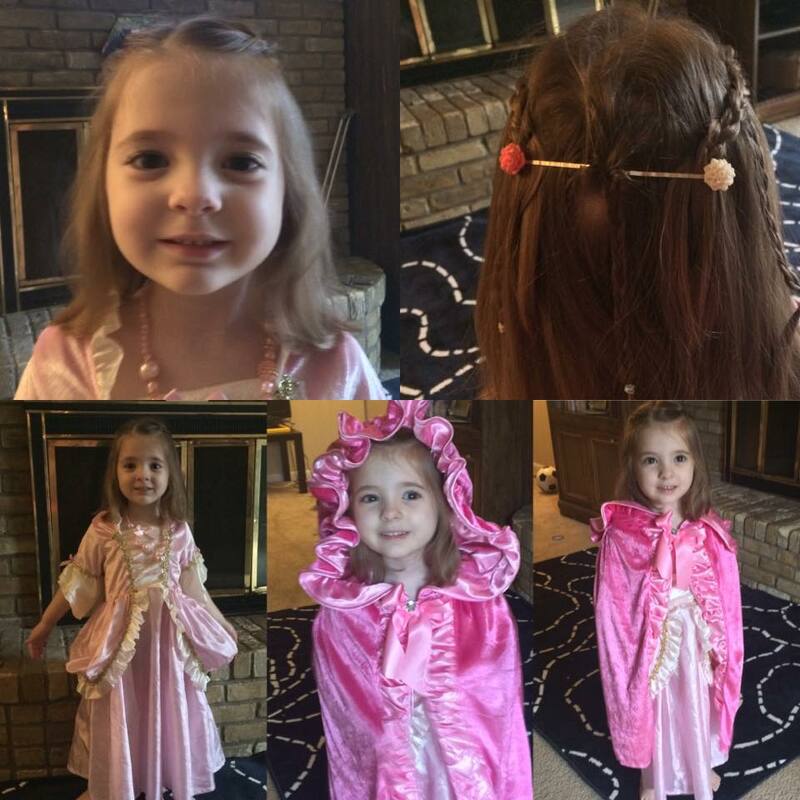 Costume, Cape, and Necklace from Little Adventures Dress Up, barrettes from Gemnotic Jewelry. "Are you going to Scarborough Faire? Parsley, Sage, Rosemary, and Thyme..."
We left home at 8:30am to get there by 10:00am. We live an hour and a half away, and the gates opened at ten so we thought it would be perfect. With the weather calling for rain and clouds, it should've been smooth entry! HA! Not even close. Getting to the exits for Scarborough Faire the GPS told us to go down one exit, but a giant digital sign on the highway said otherwise. We exited at the time the big sign said to and immediately hit a"brake slam" experience. Yeah the line to get into the Faire was already backed up all the way to the highway (and the Faire itself was still almost two miles away). It took us almost 30-45 minutes just to get from there into the parking lot. Now this may not have been so bad except that people failed to read the sign...or just didn't care...and they would exit at the closest exit to the turn. This would cut off everyone who had properly waited (such as us and some friends) causing those who followed the rules to have to wait even longer. Personally, if you're going to have people line up like that get a police officer at that exit. No one can go faster than two miles an hour anyway to cut the line off so get that officer there! If they find out people are going to the Faire and they did that, make them do a U-Turn and go back. Or block that exit or something. I think our wait time would've been cut by 15-20 minutes if that hadn't been happening. Gentleman waiting in the ticket line. Once getting there, we stood in line so our friends could buy some tickets. Again, was a tad frustrated as there were multiple options for ticket takers to be there but only two-three windows. So we spent another 20 minutes waiting in line. 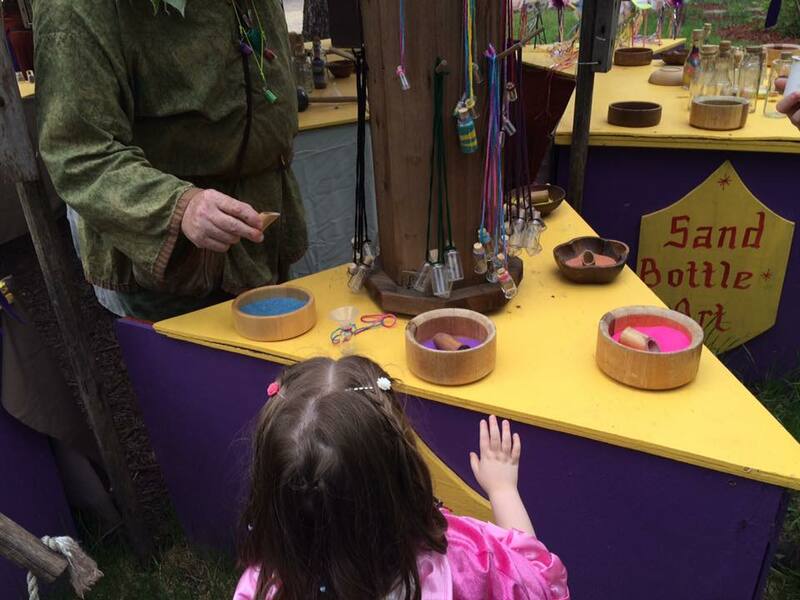 We got into the Faire at noon, and by then my daughter was cranky. She'd been in the car for two and a half hours, and then stuck standing in line. But while waiting in line we could tell the fun was just starting. People were dressed up not only for the Renaissance experience, but it was Celtic weekend as well! Kilts all around! The little princess making a sand jar. The employees were all wonderful as they stayed in character. My daughter who we had accidentally forgotten to give her her next round of antibiotics started to feel kind of down after only 45 minutes there. One of the employees saw this and came over, and got her smiling again which was really wonderful. Every time she seemed to not be having a good time someone would step up and make her smile and they didn't have to. The fact they did was just wonderful and really made the experience better. 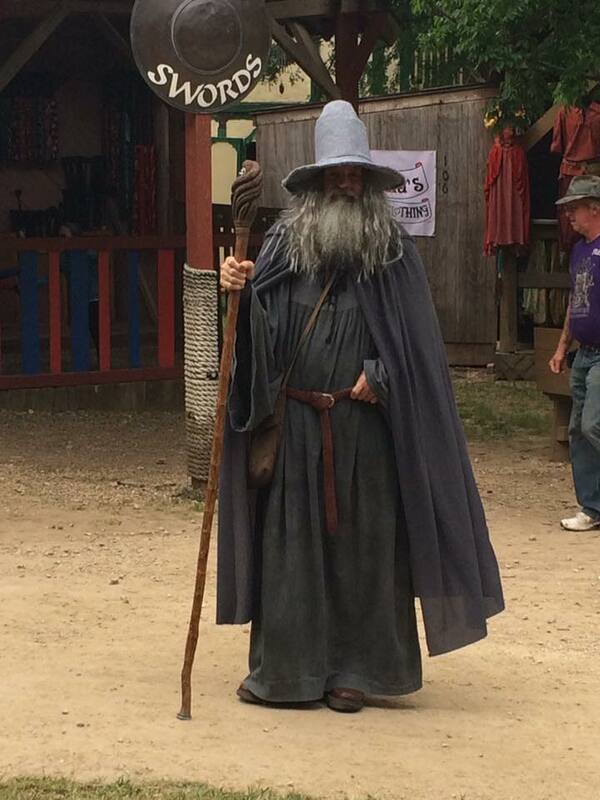 Gandalf the Grey at Scarborough Faire...and he even in the face looks like Sir Ian! At 1pm, there was a parade which the kids loved and I think my favorite part was just how into character everyone was! You really could tell those who work at the Faire are there because they truly enjoy it, not just for a pay check (though I believe many just volunteer). Even the gentlemen who was selling sand sculptures and candles was fantastic and made it so much fun for our daughter to fill her jar with colored sand. My daughter got to experience quite a bit while we were there. She rode a couple of human operated rides (and the ride operators were hilarious and fun to listen to!). 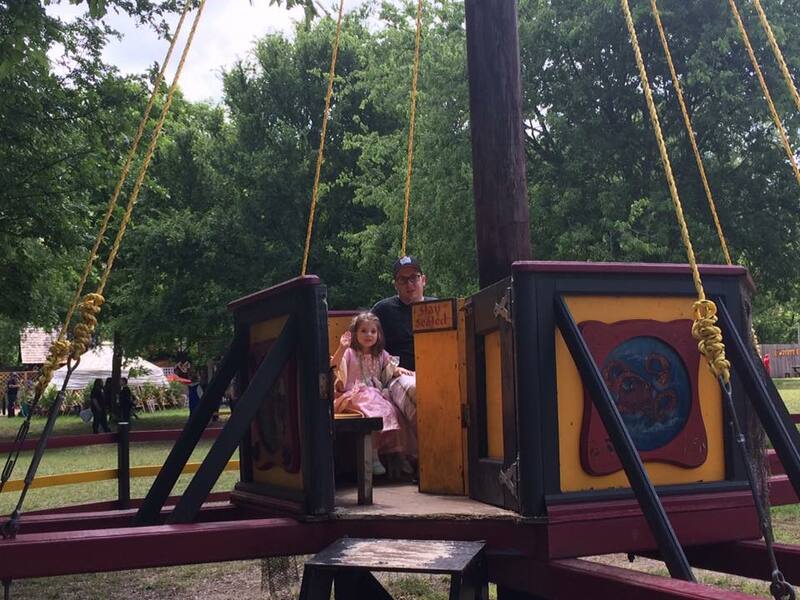 She watched some jousting, which sadly I was so short I couldn't see anything so a friend of mine captured some images for me. She then got to ride her first pony, and even feed it! Funny though, the fig bar they gave her to feed the pony almost ended up in her mouth which got her a funny look from the llama. 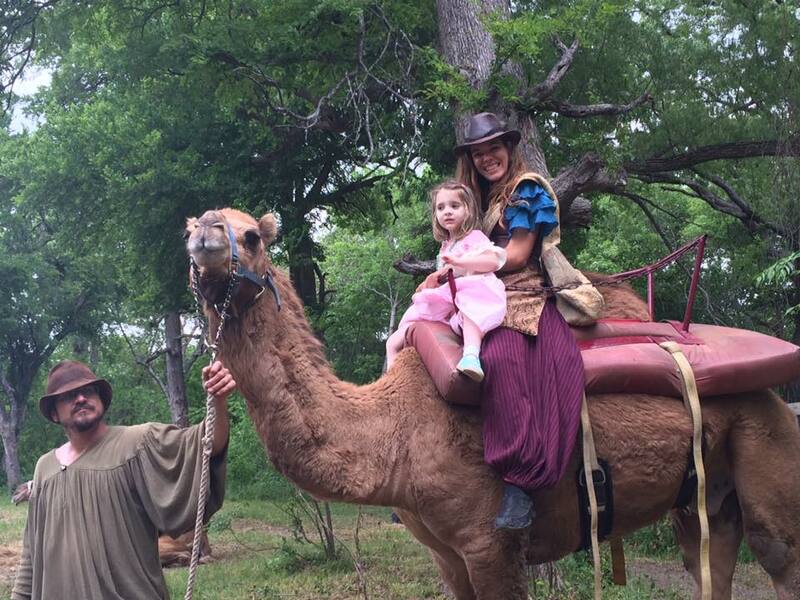 She also rode a camel which made me smile because I had a similar experience around her age. Her favorite thing though was the maze, because truthfully you just couldn't get out after getting in there. She went up high and saw her Daddy down below, and then would try to find her way out! She also played some games and won herself a beaded necklace, but we didn't do many games as we needed to save money for rides or for drinks. The princess and her Daddy (Odd Prime) on a ride together. The Princess and The Review Ballerina at Scarborough Faire. ...She would come first so Christmas it is! I will say though there are many treasures like jewelry, leather works, candles, and more that are under $40.00, we got our daughter a "fairy tickler wand" (which was felt strings tied to a small wooden stick) for $5.00 that she loves to use. Please don't think that the quality is not there for the price, it's just hard to get that kind of thing when you don't have the income. But back to the positives, we didn't really get a chance to watch any shows but my daughter got to enjoy her first "sword fighting" class! She was taught how to wield a sword, different stances, and some special moves. Of course, Mommy had to be there with her because this was hours after we arrived and her energy was just about gone. But she now today fully energized tells me how much she loved it and tries to repeat what she learned! We also got to watch the May Pole dance which was really funny and the kids that were getting to participate had a blast. The princess getting her first "Sword fighting" lesson! By the time we left, my daughter was exhausted and said she couldn't keep walking. We were also very sore and I knew I'd gotten sunburned due to the sun behind the clouds. As my husband went to use the port-a-potty that was just outside the Faire a man with a cart said he'd take people to their cars! I asked how much it was...$15. $15 to take us to the back of the parking lot. For those who are leaving, that is just way too high. Yes it would be convenient but considering he was still sitting there after 5 minutes asking someone to take a ride I think people didn't have the money anymore. So we walked all the way back and heard the whole time how much fun our daughter had. I think this place is a fantastic family event. 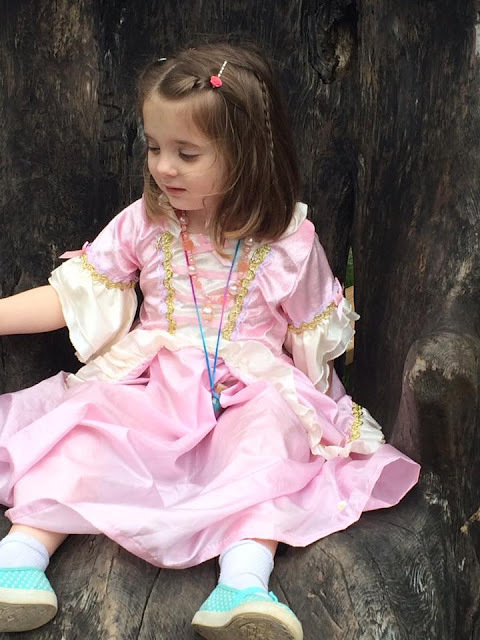 There's so much for children to do and so much interaction with the actors that you really do see the amazement and excitement through their eyes. As an adult, there's still a lot to enjoy but really without high amounts of funds you don't get to enjoy it as much as a child would. I wish we could go back on another day just to walk it again and see what we missed. I really think we missed something (map got lost about halfway through and we couldn't find someone with more) but for a Festival that has been around since 1981, this truly is something perfect! I may complain a lot about the pricing, but as a family without a lot of disposable income that is a factor that should be taken into consideration here. That in no way says that the Faire isn't worth it! The experience of Scarborough Faire is incredible. 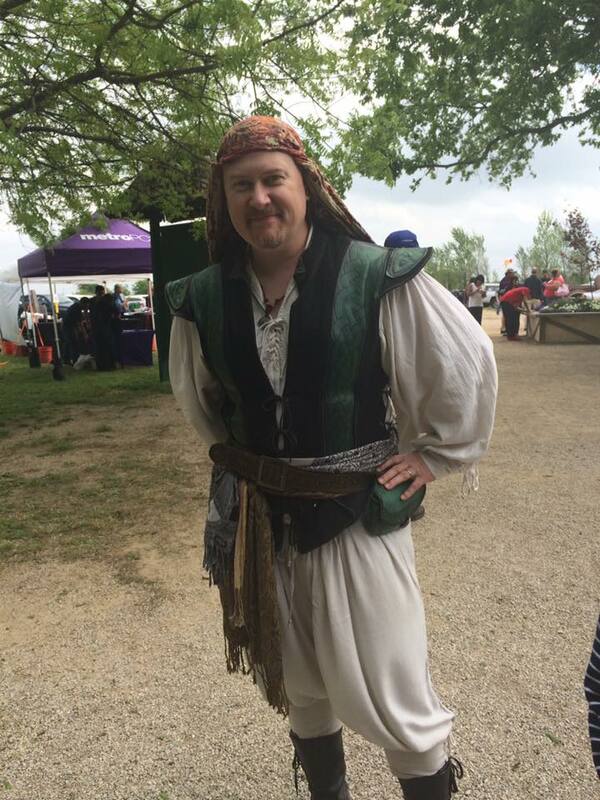 Note to those attending Scarborough Faire in costume: This is not a Comic-Con. 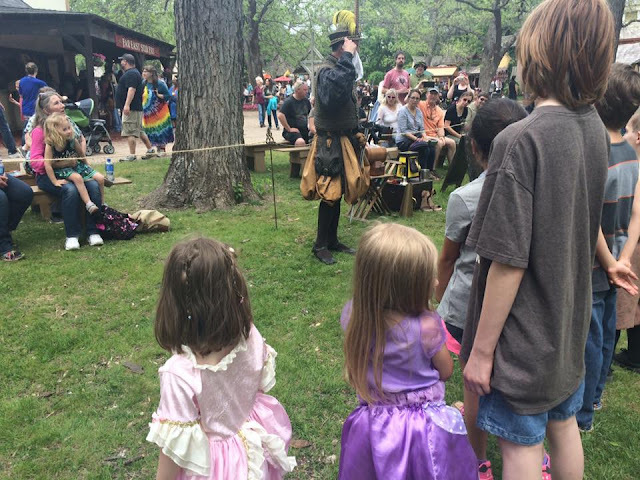 This is a Renaissance Festival. Dress accordingly. Furries are not Renaissance. Comic book heroes, anime characters, these are not Renaissance. Wait for Comic-Con if you want to dress that way. 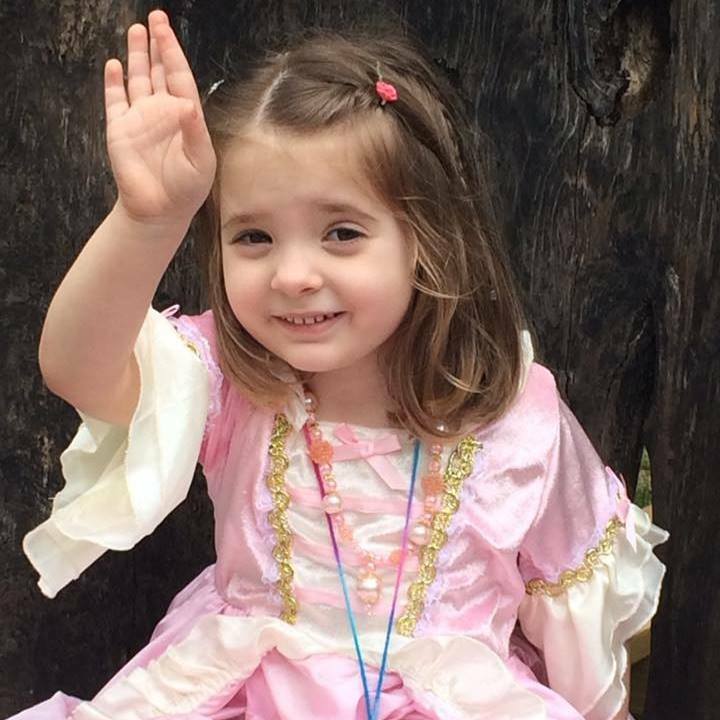 It's just as easy to rent a Renaissance costume (yes, they have a rental booth at the front of the Faire) to be a part of it! That looks like a fun festival. I love all the costumes. How fun! Thank you for the opportunity to review the outfit in the past! 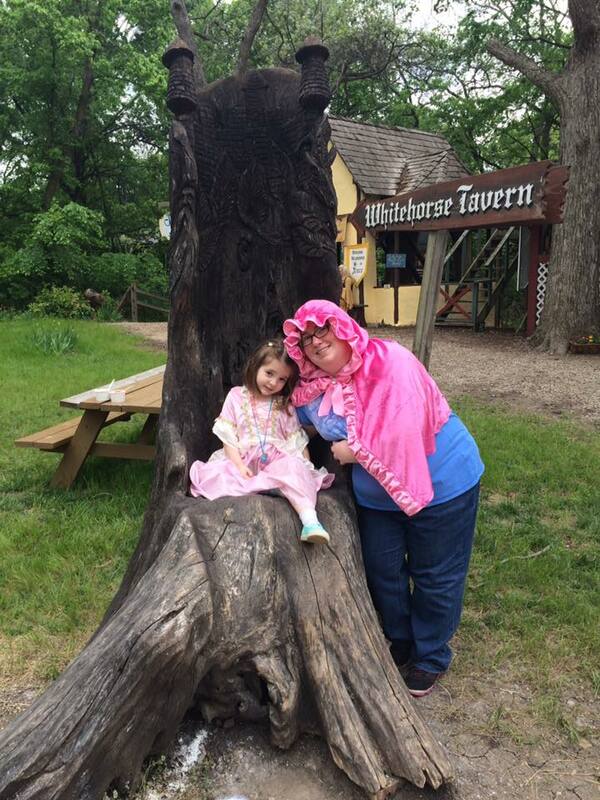 She had so many compliment her outfit, and she felt like she was a part of the Faire!